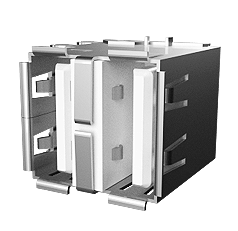 Powered by the Raspberry Pi Compute Module, the base modules are the core of every Revolution Pi modular system. Quad-core power for Revolution Pi! Get the RevPi Core 3 – equipped with the Raspberry Pi Compute Module 3 – if you need high performance to fulfill your tasks. The multi-core processor by Broadcom has enough power for complex tasks such as image processing. Raspbian Jessie incl. an RT patch is preinstalled. 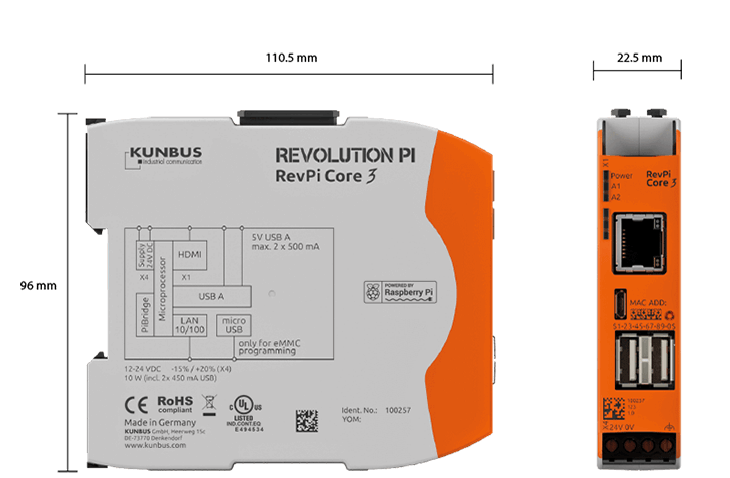 RevPi Core is the perfect device for simple tasks who don`t need quad-core performance. Equipped with Raspberry Pi Compute Module. The compute module basically consists of two ICs: a Broadcom BCM2835 SoC with 500 Mbyte RAM and a 4 Gbyte eMMC Flash memory. Raspbian Wheezy incl. an RT patch is preinstalled. The power supply circuit is one of the most important parts of the RevPi Core. 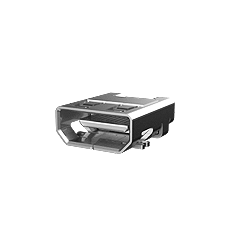 In order to get as small heat from power dissipation as possible we are using state-of- the-art high-efficiency DC-DC-converter (efficiency over all is greater than 80%). 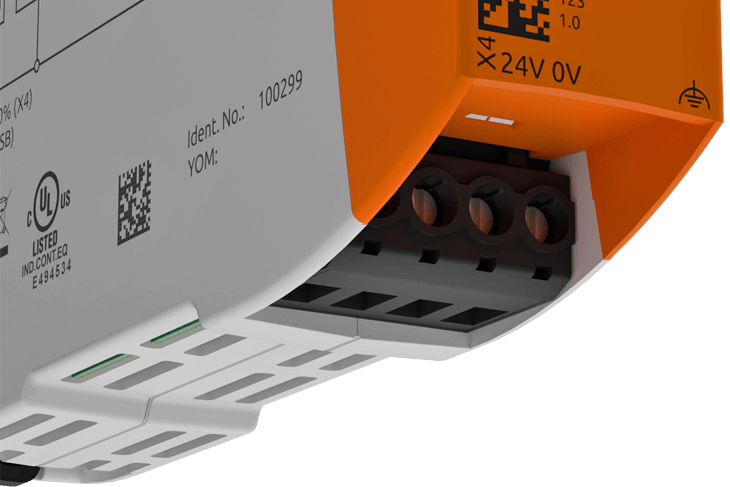 These converters use 24 VDC input (which is the usual case in industrial applications) to produce all supply voltages needed for the Core. But our Core module does not only run on the standardized supply range of 20.4 V to 28.8 V but also runs on as little as 10.7 V input voltage*. That means you can even use car batteries or solar panels as power supply. At 24 V input any power loss of up to 10 ms will not influence operation of RevPi Core (drawing full current from both USB ports) and even up to 25 ms without USB load. Input voltage and functional earth is connected to RevPi Core using heavy duty connectors at the bottom side. A sophisticated protection circuit guarantees continuous operation even under massive electrical or electro-magnetic interference on the input power lines (provided that functional earth is connected properly). Lightning strikes and nearby welding machines have been simulated in our test laboratories but could not impress our RevPi Core modules. In addition, the Revolution Pi has a Real Time Clock with 24h buffering, which ensures that the device always knows what time it is, even in the event of a power failure. * RevPi Core can only drive 2 x 500 mA USB 5 V supply using input voltages greater than 11 V. EN61131 demands a minimum of 10 ms tolerance against power failure which can only be guaranteed with input voltages form 20.4 V to 28.8 V. At 12 V input voltage this time decreases drastically, especially when driving loads by USB ports. Like Raspberry Pi, RevPi Core is equipped with common interfaces. Connect RevPi Core to a LAN by using the RJ45 Ethernet connector. 4 pins of the PiBridge are used for automatic module detection during start up phase. After this phase RevPi Core exactly knows which modules are connected and in which physical position they are. 4 pins of the PiBridge are used for rapid data exchange of small data packages using RS485 signals. This channel is also used for module configuration during start up phase. After configuration this channel is used for cyclically exchanging data between RevPi Core and all IO modules connected. 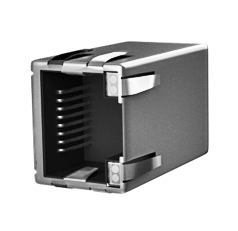 8 pins of the PiBridge are used for rapid data exchange of large amount of data using Ethernet signals. 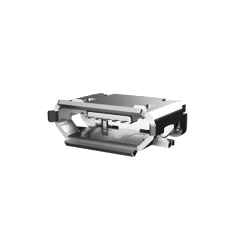 Up to now this channel is only used by our modular gateway modules which may collect up to 512 Byte data cyclically from nearly all relevant fieldbusses. One of our major goals was to make Raspberry Pi ready for tough industrial enviroment, so it could become a real IPC which meets the EN61131-2 standard. 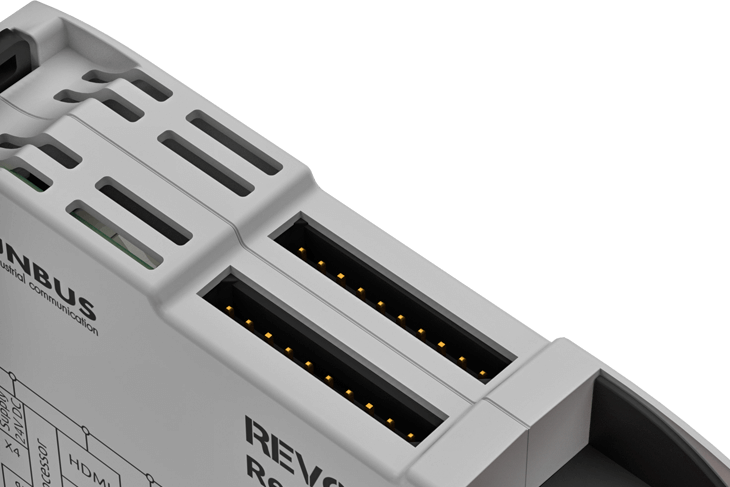 * Not having heavy USB loads and providing a free heat emission of the housing we have operated RevPi Core up to 65 °C at 24 V input supply voltage without any problems. We can’t guarantee cold start of a cooled down system at ambient temperatures less than -30 °C using 24 V power supply voltage – This applies only to RevPi Core with single-core processor BCM2835. Despite the fact that Revolution Pi is an open system on which everyone can install their own apps and software, we have tried to equip Revolution Pi with software and apps that cover most applications. The operating system used is a customized version of Raspbian Jessie (August 2017), which includes a real-time patch of the kernel. This is in our view the best compromise to stay as close as possible to the original development environment of a Raspberry Pi and still get a high level of control over the priorities of the tasks managed by the scheduler. The scheduler, which controls the execution of tasks by the operating system, can be extensively configured with this modified kernel, so that delays usually caused by network and other I/O accesses are avoided. Suitable drivers for the expansion modules are of course already pre-installed. Revolution Pi comes with master and slave capability for the popular Modbus RTU and Modbus TCP network protocols. External gateways are therefore in most cases no longer necessary when using these two network protocols. Modbus TCP works with the Ethernet interface available on the RevPi Core (i. e. via the RJ45 socket on the front panel) or any other Ethernet connection (e. g. USB WLAN adapter) that is supported by the TCP/IP protocol. Modbus RTU requires a TTY device under Linux. Since the existing UART interface of the compute module is already reserved for the PiBridge and therefore not available, a USB to serial converter such as an RS485 converter is required (not included in scope of delivery). The configuration is done via the browser-based, graphical configuration software PiCtory.